At the Gulfport Casino Ballroom, where big bands drew huge crowds to Florida’s west coast in the 1930s and 40s, swing is still king. I discovered the thriving dance scene in the Tampa Bay area in late October during a weeklong trip to St. Petersburg, where by day, we discussed the future of digital journalism at the Poynter Institute for Media Studies. Come nightfall, I joined the Tampa Bay swing-dance community, a friendly group of dancers from 18 to 80 that includes college students from the region’s colleges, unemployed construction workers, medical professionals, a few retirees, and a handful of tourists, looking for some fun. Quite welcoming to out-of-town visitors, the dancers move to an eclectic blend of blues and big-band tunes that provides a steady beat for those who love to Lindy Hop or do the sultry dance they call West Coast Swing. I showed up for this year’s Halloween dance as a journalist in a T-shirt that proclaimed, “Trust me. I’m a reporter.” In one corner, a fearsome Dracula danced with the leather-clad Catwoman while a deranged Mad Hatter eyed an angel with wings and a halo suspended over her shoulder-length blonde locks. Dance partners I’d met in Tampa welcomed me to Gulfport like an old friend. I’d found home for a week. 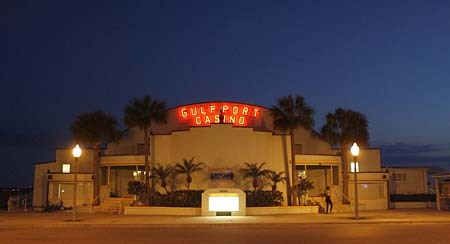 I had a rental car, so driving to these dance halls from downtown St. Pete was a breeze – a half-hour to Tampa and 15-minutes to Gulfport. The car helped me explore the local beaches as well. The Gulf of Mexico was crystal clear one evening when we drove out to St. Pete Beach to watch the sunset, and take a dip. We parked at the Don Cesar, the landmark pink palace that greets you as you arrive over the causeway. After a day listening about the digital transformation of American media, the crystal clear waters of the Gulf of Mexico were a welcome respite as I swam along the shore. After drying off, I joined a dozen colleagues for dinner at the Don Cesar’s Sea Porch Café for a grilled Mahi Mahi sandwich, plantain chips and zesty pineapple guacamole, and a savory Asian pear tart for dessert. The next morning, I was off to Fort DeSoto Park, that spit of preserved land off the Pinnelas Bayway, where cyclists were getting in their miles before the sun rose, and the predawn light streaked the early morning sky as the sun rose over the Skyway Bridge. Sandpipers scurried along the sand, a great blue heron dipped his beak into the warm waters, looking for breakfast, and light streaked across the morning sky, announcing another hot, humid day in Florida. St. Petersburg tourism officials are looking forward to January 11, when the new Salvador Dali Museum will open on the city’s waterfront. 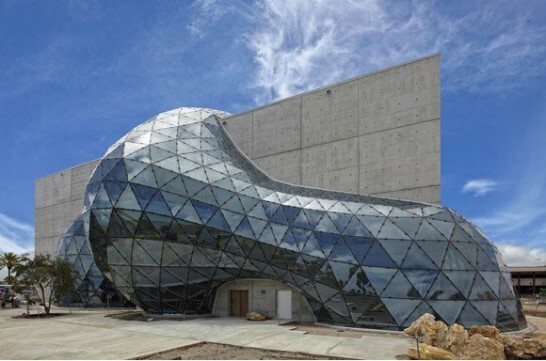 The new museum, with its wraparound glass and internal spiral staircase, will provide exciting architectural complements to Dali’s surrealist works, which have attracted hundreds of thousands of art lovers to the Dali Museum on Third Street since opening in 1982. In late October, however, eyes were focused on weather reports from the Midwest, then getting hammered by an autumn snowstorm. The mighty Tampa Bay tourist industry was gearing up for the winter season, and working to dispel fears that petroleum from the BP oil spill had washed up on the shores of Florida’s west coast. David McKay Wilson has written on travel over the past 30 years as a freelance journalist, with his travel stories appearing in The Boston Globe, Philadelphia Inquirer, Hartford Courant, New Haven Advocate, and Gannett News Service. An avid cyclist and skier, Wilson enjoys vacationing in the mountains and by the sea. His articles on public affairs have appeared regularly in The New York Times. He’s currently the nation’s top freelance writer for university alumni magazines, with his work appearing in publications at 81 colleges and universities, including Harvard, Columbia, Dartmouth, Brown and the University of Chicago. It brings to mind a criss cross styling between I.M. Pei, Frank Gehry and Paul Andreu and you see influence even from Buckminster Fuller (most famous for his creation of the geodesic dome). Great stuff … I am looking forward to the Salvador Dali Museum next time I’m up there.